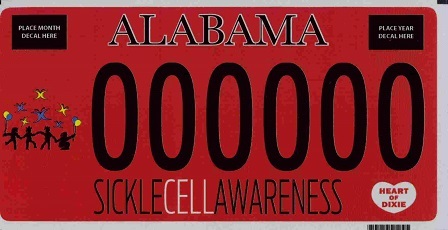 The Sickle Cell Foundation of Greater Montgomery, Inc., a United Way-Funded nonprofit, has produced a customized Alabama license plate, and is seeking supporters to purchase this distinctive license plate. Continued support for our education, counseling, and screening programs. Community support of those with this debilitative disease.